A federal judge in California struck down an immigration law Friday that the Trump administration has used to go after cities and states that limit cooperation with immigration officials. The ruling by District Judge William Orrick also directed the U.S. Department of Justice to give California $28 million that was withheld over the state's immigration policies. San Francisco is expecting two grant awards of $1.4 million following the ruling. However, none of the three rulings immediately invalidated enforcement of the law nationwide. The law at issue forbids states and cities from blocking local officials from reporting people's immigration status to U.S. authorities. "The statute takes control over the State's ability to command its own law enforcement," the ruling says. "This is particularly concerning given the State's and San Francisco's view of the decidedly negative impact that entanglement with federal immigration enforcement has on community trust and reducing crime." Orrick's ruling Friday in lawsuits by California and San Francisco may be the most significant yet because it applies to a major target of the administration's opposition to so-called sanctuary jurisdictions. 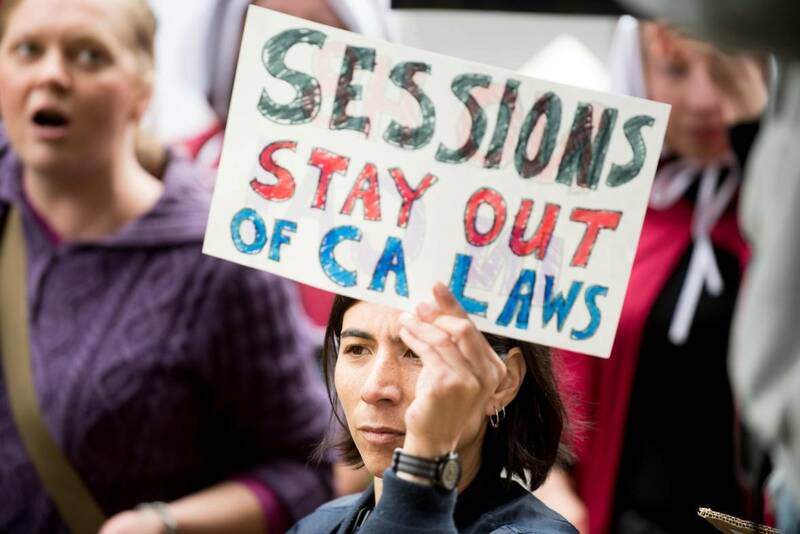 Orrick forbid Attorney General Jeff Sessions from enforcing the immigration law against California or any of its cities or counties. He found the law "inevitably reaches the state's relationship with its own citizens and undocumented immigrant communities in ways that no doubt will affect their perceptions of the state and trust in its law enforcement agencies," and he found the law unconstitutional. 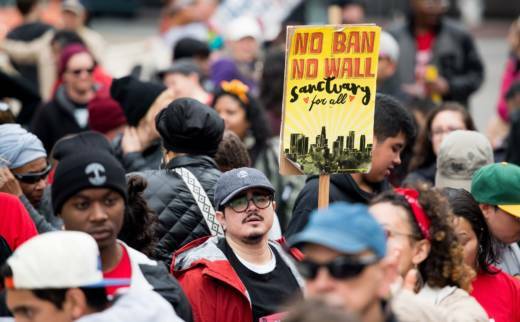 "That’s a fairly strong stance because he didn’t have to go that far," San Francisco City Attorney Dennis Herrera said in an interview Friday afternoon, saying the city's sanctuary policies comply with the law. "The judge went beyond how we conduct ourselves to find [the law] itself is unconstitutional." San Francisco and other sanctuary cities counter that turning local police into immigration officers erodes the trust needed to get people to report local crimes and testify in criminal cases. Orrick's ruling says the immigration law "undermines existing state and local policies and strips local policymakers of the power to decide for themselves whether to communicate with" immigration officials. It also shifts a portion of immigration enforcement costs onto states. "California expresses the legitimate concern that entanglement with federal immigration enforcement erodes the trust that Latino and undocumented immigrant communities have in local law enforcement," the ruling says. "We will continue to stand up to the Trump administration's attempts to force our law enforcement into changing its policies and practices in ways that would make us less safe," he said in a statement. One of the laws prevents police from providing the release dates and personal information of jail inmates — information administration officials say they need to safely remove dangerous people who are in the country illegally. U.S. District Judge John Mendez in Sacramento has allowed California to continue enforcing that law. California could use Orrick's ruling to ask Mendez to reject the administration's claim that the state is violating the 1996 law, said David Levine, an expert in federal court procedure at the UC Hastings College of the Law. Sessions announced more than a year ago that cities and states could receive Edward Byrne Memorial Justice Assistance grants only if they allow federal immigration officials access to detention facilities and provide notice when someone in the country illegally is about to be released. "These unconstitutional grant conditions were yet another example of presidential overreach," Herrera said in a statement.